COCOA BEACH, Florida - Four waterspouts appeared off Brevard County's beaches early Sunday morning. 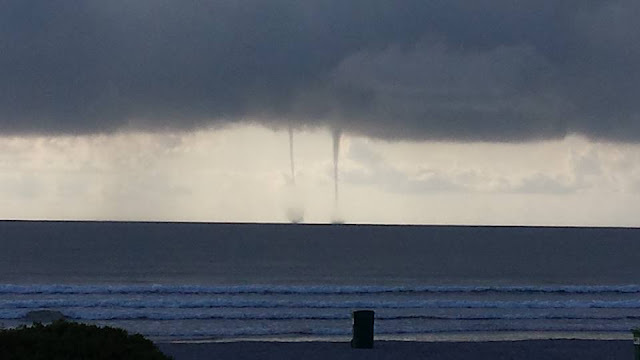 Three of the waterspouts appeared simultaneously, two of which are in the above photograph taken in south Cocoa Beach, Florida. The fourth waterspout could be seen from Indiatlantic to Melbourne Beach, Florida.